What are People on Your Network Connecting To? 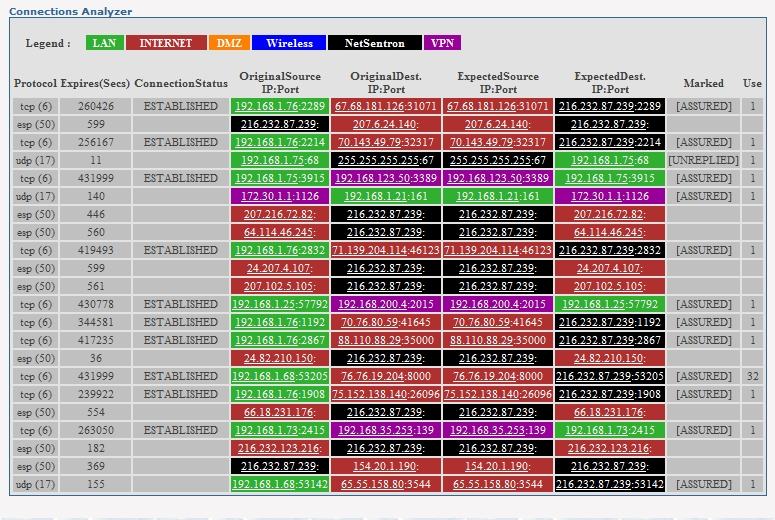 When you click on the IP Address in the Expected Source or Destination columns of the connection analysis report, the ARIN WHOIS report comes up. This feature will show any computer on the network that have connections to servers on non-standard ports, which is one of the most effective ways of tracking viruses and malware. This page will also give you information on the domain and IP Address with an ARIN WHOIS Database. 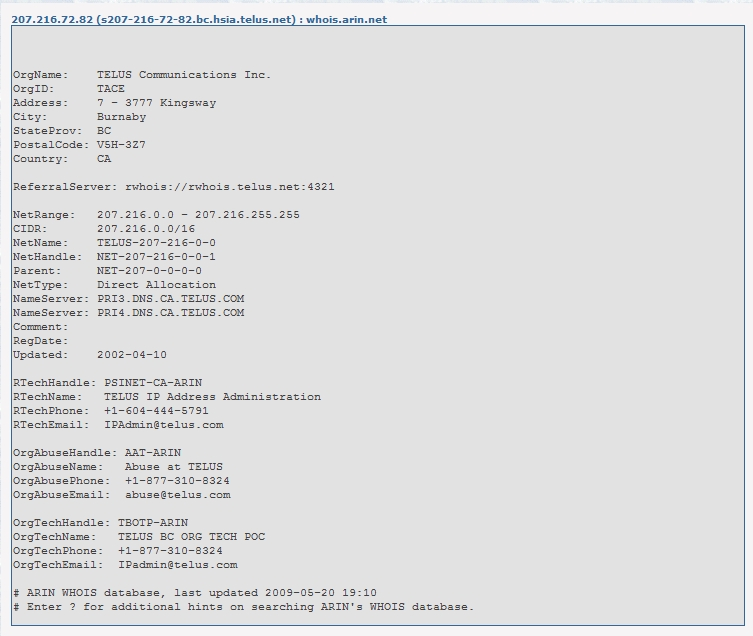 Click on the Images below to view the Connection anaylsis report and the ARIN WHOIS report. Click here to return to the Features list.